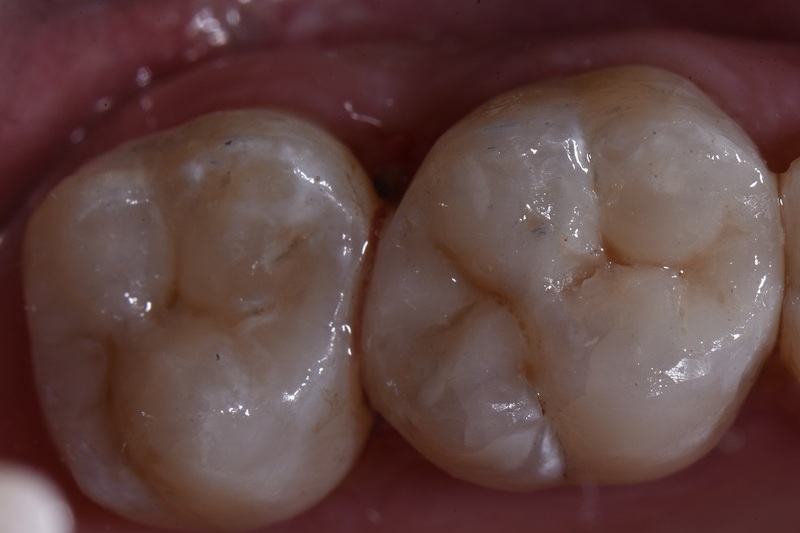 Large Class II’s can suddently be made bigger by marginal ridge hairline fractures that act as superhighways for bacteria to seed in dentin. 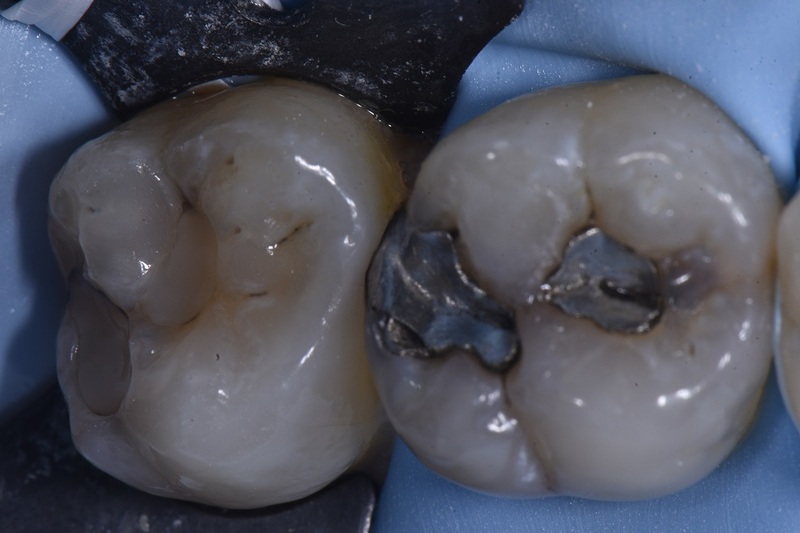 The mesial aspect of this tooth was cracked despite the amalgam being a decent distance away, but once it’s cracked, normal rules of caries progression don’t count anymore. Restored using the Garrison Compositight 3D XR system with Purple Slickbands and a single, layered shade of A2 Cosmedent Renamel Nano Plus.